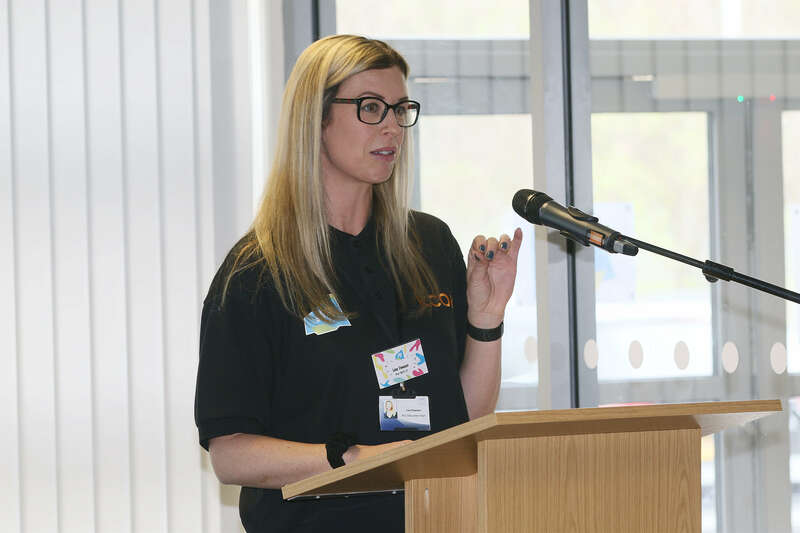 The celebration was held at the KCOM Stadium, where members of the Run With It team revealed they’ve helped more than 15,000 local children and young people with literacy and numeracy skills using innovative activities at the stadium. Lisa Dawson, Run With It Director, said: “We’re incredibly grateful to our Board of Trustees and sponsors for their support. “Run With It is a small, passionate team who thrive on helping others – our motto is “Learning for Life at the stadium”. “The stadium is a powerful classroom to inspire and engage while also bringing maths and English to life. Learning how these skills are used in the workplace improves our children’s confidence, communication skills and emotional intelligence. Lisa Dawson speaks passionately about Run With It at the charity’s Celebration Event. Dominic Gibbons, Managing Director of Wykeland Group, the charity’s main sponsor, and Chair of Run With It Board of Trustees, said: “We’re really proud to support Run With It through financial support, advice, mentoring and staff volunteers. “Lisa and her team bring learning to life by putting literacy and numeracy in the context of the many activities that take place in and around the KCOM Stadium on match days and all year round. The team have achieved so much, but could go even further with more business support. 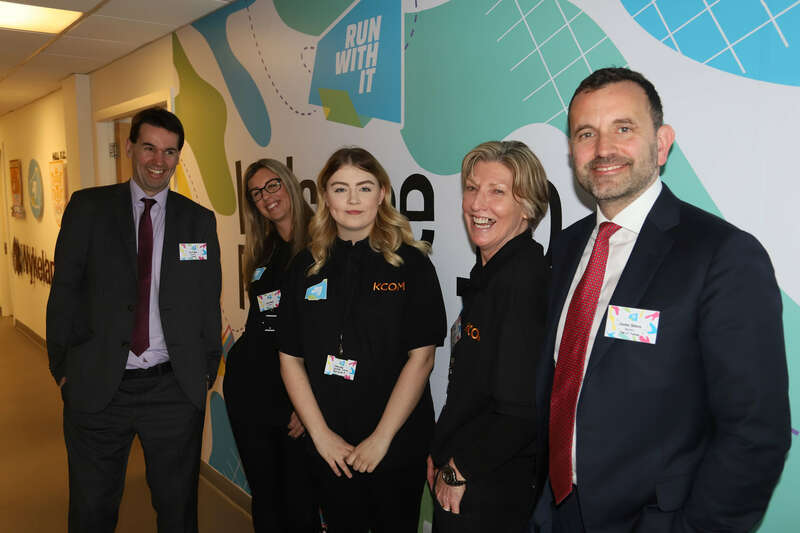 Sean Royce, KCOM Managing Director, said: “As a member of the Board of Trustees for Run With It I see first-hand what great work the team does in inspiring young people and helping to give them the vital life skills they need for future success. Peter Smurthwaite, owner of PBS Construction Limited, said: “PBS has a long partnership with Run With It which initially came about through my role as Governor of Paisley Primary School, which is the closest school to the KCOM Stadium. “I’ve seen for myself how the Run With It programme puts numeracy and literacy into the context of how a stadium works, and the children think it’s absolutely fantastic. Martin Lauer, Managing Director of The One Point, said: “We’ve been involved with Run With It for a couple of years now and we’re delighted to be here at their celebration event to support such a great charity. “The One Point provide IT services in schools and we felt we could be the perfect conduit between schools and the wonderful work done by the Run With It team. Julie Strickland, Deputy Head Teacher at St James’ Church of England Academy, Bransholme, said: “Our children develop a range of skills on the Run With It programme, not only in literacy and numeracy but also personally in areas such as maturity, confidence and team working. “At the stadium the children get the chance to put their learning into action and have real life experiences, so we see some very different children at the end of the programme, in terms of personal growth. Hannah Stephenson, Head of School, Swanland Primary School, said: “Our Year 3, 4 and 5 children have been enjoying the Run With It programme for the past two years.